Krishna Vamsi’s next with a young hero? Until a month ago, senior director Krishna Vamsi’s name was associated with two crazy projects. Just when the genius director was all set to commence his ambitious horror drama, Rudraksha starring Samantha as the main lead, he got a surprise call from Nandamuri Balakrishna. Krishna Vamsi narrated a script with a farmer’s revolt backdrop and Balayya liked it immensely and only an official announcement was due. However, Balayya chose to go ahead with Krish’s Gautamiputra Satakarni for his 100th film. In the process, Rudraksha was put on hold temporarily due to unavailability of actors’ dates. 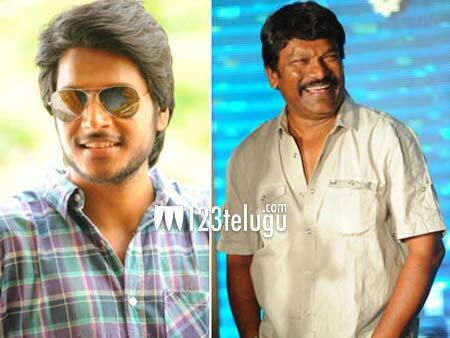 According to a latest update, Krishna Vamsi will now be directing young hero Sundeep Kishan. Both the actor and the director need a solid hit in their careers. More details about the film’s cast and crew and an official confirmation are awaited regarding this project.